Journey to Wild Divine is a revolutionary new computer game which allows you to physically interact with the actions that happen within the game environment: learn to build stairways to the stars with your breath, open Napalese temple doors with meditation, levitate and juggle balls with your laughter, steer hot-air balloons through deep breathing exerices, make fires burn brightly or send arrows flying towards bulleye targets in the Himilayan landscape by calming and focusing your thoughts. 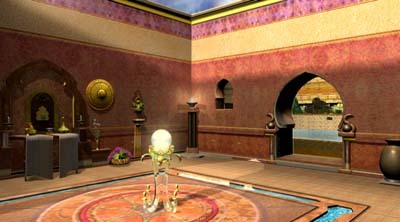 It's like a more sophisticated version of Myst in which you control the game's action with your mind, imagination and feelings instead of a mouse. The Journey makes biofeedback fun and empowers you to take mind-body wellness, literally, into your own hands. 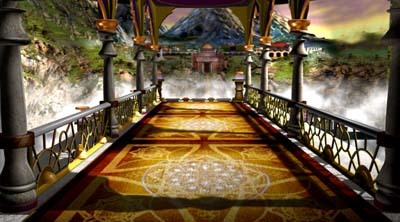 It's the first "inner-active" computer adventure that combines ancient breathing and meditation techniques with modern biofeedback technology. The Journey to Wild Divine's innovative hardware platform measures skin conductance level (SCL) and heart rate variability through the three "Magic Ring" sensors gently attached to your fingers. 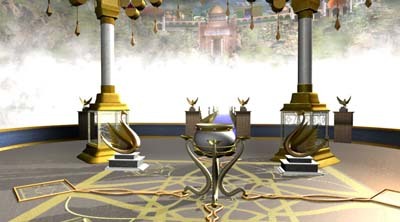 The measurements are registered through the "Light Stone" and fed back to you through biofeedback events on the screen. 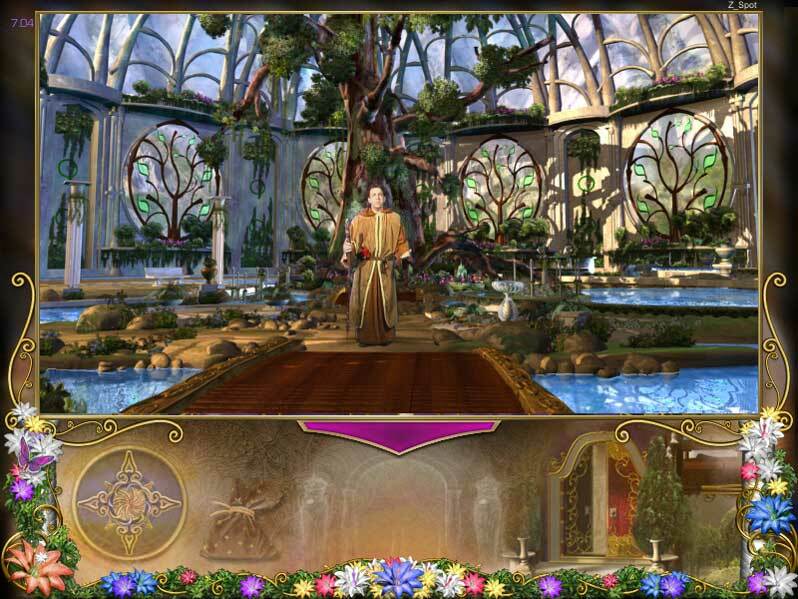 Characters within The Journey guide you through the realm, empowering you with yoga, breathing & meditation skills needed to complete over 40 biofeedback energy events. As you play you're not only learning to control the game environment, you're learning skills that will help you navigate more easily and effectively in the "real world" too. Balancing health, wellness, and technology to enhance your life, The Journey to Wild Divine is a stunning and life-changing computer program that teaches breathing, meditation and relaxation techniques for great living. Using proprietary biofeedback technology, The Journey provides instant, visual feedback that reflects the state of your mind and body. Learn practical skills that teach you how to self-regulate your responses, whether in everyday situations or stressful events. Take The Journey! 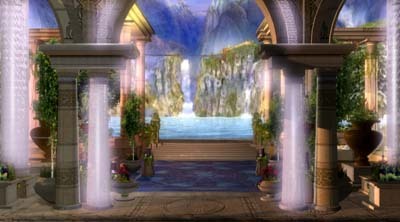 You’ll enjoy hours of imaginative entertainment using the Journey to Wild Divine and learn techniques for improving your mind/body mastery. 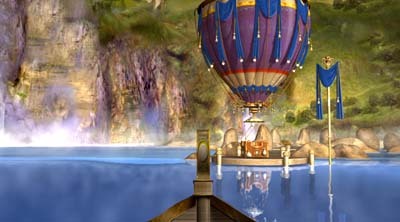 The power of this mythical journey is unlike anything you’ve ever seen on your home computer. Adventure through a mythical world of towering palaces, sacred temples, sumptuous gardens and wise mentors where you are challenged to deepen your self-awareness with every step you take. "The Wild Divine is helping to transform our mass consciousness to one of peace and harmony through a very practical program that allows people to get in intimate touch with the innermost core of their being. To know that they have more power than they have ever realized, to know that they can influence what is happening in their body, in their mind, in their emotions, as well as in the world that they create everyday." ~ Deepak Chopra M.D. "This enchanting game is like having Yoda in your living room! It trains you in mind/body/spirit magic. Become a warrior of the heart, learn to harness the power of your intention, and create a conscious life- all while having fun." ~ Joan Borysenko Ph.D.
"Ripe with Kinetic energy that can make magic happen in the bodies, minds, and spirits of people alive with curiosity and imagination" ~ Todd Siler, author of "Think Like a Genius"
As described by medical experts at The Mayo Clinic, biofeedback uses your mind to control your body. Biofeedback is a type of complementary and alternative medicine called mind-body therapy. Using feedback from a variety of monitoring procedures and equipment, a biofeedback specialist will try to teach you to control certain involuntary body responses, such as brain activity, blood pressure, muscle tension, and heart rate. Once you learn to recognize and control these responses, you can use biofeedback to help treat a wide range of mental and physical health problems. Even if you don't have a specific disease or condition, biofeedback may help your overall health and sense of well-being. The Journey to Wild Divine's innovative biofeedback hardware platform measures skin conductance level (SCL) and heart rate variability through the three, gently attached finger sensors. The measurements are registered through the "Light Stone" and fed back to you through biofeedback activities on the screen. 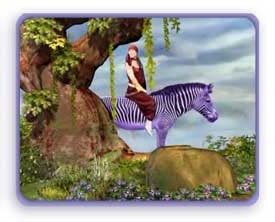 Mentors within The Journey to Wild Divine help you learn to control your body's reactions. By increasing, decreasing or synchronizing body rhythms, through various levels of breathing, relaxation, and meditation techniques you'll quickly learn to master the activities and begin using these techniques everyday and throughout your life. 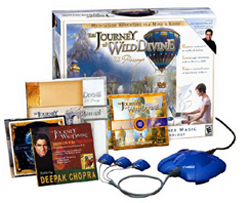 The knowledge you gain while playing The Journey to Wild Divine will help enhance your personal growth and well-being. Garden-variety stress--little spats, minor frustrations, short-lived blue moods--can raise your odds for fatal and irregular heartbeats, new research suggests. When 135 heart patients tracked their moods for 2 days while wearing portable heart monitors, scientists found that "as stress increased, heart rate variability--the heart's ability to beat faster or slower in response to emotion or physical demands--decreased," notes researcher Simon Bacon, PhD, of Hôpital du Sacré-Coeur in Montreal. Heart rate variability (HRV) is a cutting-edge measurement of cardiovascular health. It's so new that your doctor can't check it with a simple test, and so subtle that you can't assess it by taking your own pulse. "More HRV means your heart is better able to adapt to changing circumstances," Bacon says. Less HRV means nerves and heart muscle can't respond easily to change, potentially leading to out-of-rhythm beats or an abrupt, fatal stop. About 250,000 Americans die each year from sudden cardiac arrest. Stress may reduce HRV by affecting nerves that control the heart, Bacon says. What you can do: Soothe and protect your heart with stress reduction and exercise. Preliminary evidence suggests that both improve HRV.